When our team works on a redesign or bathroom renovation in Toronto, we know how important it is to the homeowner to preserve the character of the home. This includes close attention to detail and the knowledge of the issues an older home faces such as unique wiring and plumbing setups. We have the ability to combine modernized craftsmanship while still preserving vintage appeal. We are Toronto’s bathroom renovation specialists for new and old homes. Whether our customers want a “period” style bathroom in a new home or a contemporary design in an old home, our creative and experienced team works tirelessly to achieve your vision. Our specialty in older and heritage homes allows us to create the bathroom you’ve always wanted. 1. All electrical and lighting – We will assist with choosing, installing, replacing, fixing and maintaining lighting and work with older electrical systems. 2. All heating, radiator work, and duct work – Ask us how to make an older home more energy efficient. 3. All plumbing – We are experts at renovating bathrooms in Toronto that have older plumbing systems, lead and galvanized steel. 4. All flooring – Ceramic tile, tile vinyl, stone, marble, laminate, engineered wood. We can provide any flooring type to match your preference. 5. All cabinetry, trim, and millwork – New cabinets bring out the bathroom and can make a significant overall difference aesthetically. 6. All windows and doors – Our bathroom renovations in Toronto include window and door selection and installation. 7. All countertops – From luxurious to practical we have countertops and vanity ideas for every homeowner. 8. All tiling and flooring – Expert recommendations and precise installation. 9. All fixture installation – Replace old and worn fixtures. 10. 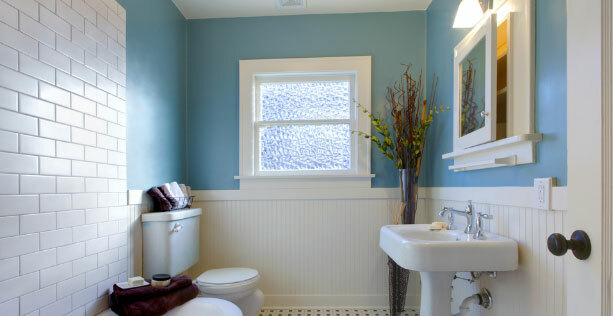 All framing – All finishing touches complete the look of any bathroom. 11. All insulation and soundproofing – We can provide warmth, energy efficiency and a quiet atmosphere. 12. All drywalling and painting – Expert services for any colour preferences that will bring your bathroom to life. There is nothing that we can’t do to complete your bathroom. The whole job can be taken care of by Avonlea Kitchen and Bathroom Concepts. We take care of all trades involved in the project and make the experience seamless for the customer.